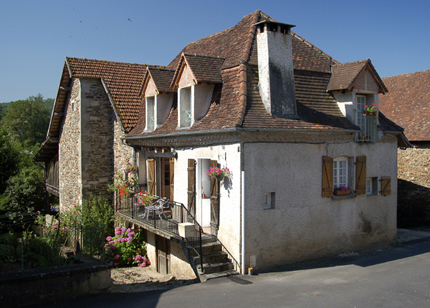 There are two towns, Bretenoux and Biars, about 4 kilometres away which have a variety of shops and supermarkets. There is also a cinema in Biars which shows films in various languages including English. There are two good restaurants within walking distance. There is a swimming pool at Biars and a water park at Tauriac. It is ideal walking country with the Auvergne only a half hour drive away. There is a ski resort, Le Lioran, which can be reached in 1.5 hours by car, you can also get there by train from Biars station. Canoes can be hired for trips on the Rivers Dordogne & Cere. The town of St. Céré is 8 kilometres away and has a music and arts festival in July/August.